In terms of pure production, Patterson has far outplayed Robinson this season. Patrick is a terrible rebounder but sound scorer whose range at times extends beyond the three-point line. He wields a polished face-up game, and at age 23 the Kentucky product will only get better. This isn’t why the Kings made the move, though. Don’t give the team that much credit. 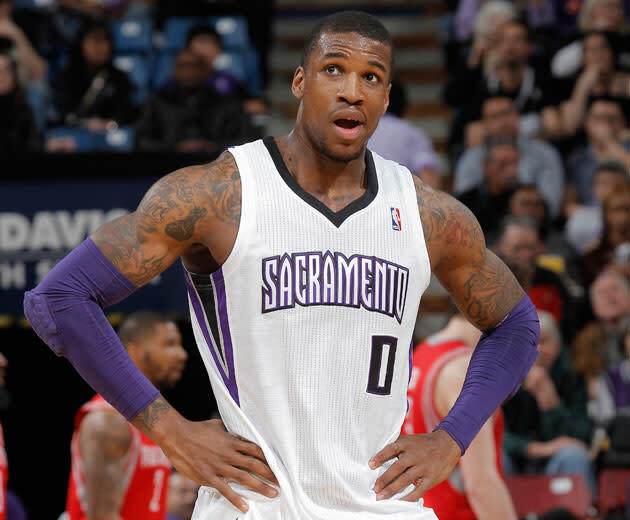 Sacramento is now in the business of fretting over minimally-priced rookie contracts. Robinson is set to make over $3.5 million next year, with team options that go for over $3.6 and $4.6 million in the years after 2013-14. Honeycutt and Garcia are set to make over $9.2 million next season on team options, but these were options the Kings (and, presumably, the Rockets) could decline. This was all about the Kings sending out over $10 million in salary and receiving just over $6.5 million back. Of course, the season is nearly two-thirds over, and those full-year salaries are nearly two-thirds paid. The savings aren’t even that significant. The Kings just dealt Thomas Robinson to save 27 games worth of salary on a player that they selected eight months ago as a top five pick. These are the Sacramento Kings owners. They frost their tips, they fail at business, and they dislike Sacramento Kings fans. Again, in terms of pure 2012-13 production, this deal is a step back for the Houston Rockets. Patterson is a smooth scorer and Robinson has yet to distinguish himself in his rookie year. Garcia is a sound minutes sopper that has to be guarded on the perimeter, but with Chandler Parsons’ excellent play this season Garcia’s role might be limited. The Rockets will save money themselves, though, as they head into the 2013 free agent turn. Houston is attempting to save money in order to make their team better via free agency and/or trades, which is something the Kings cannot claim. The Rockets will also get to claim the next few years of a developing lottery pick – something the Kings haven’t been able to do in years. Since Rick Adelman’s time with the Kings, each Sacramento youngster has progressed in baby steps in the years past their rookie season. That isn’t to say DeMarcus Cousins, Tyreke Evans, Jason Thompson and Jimmer Fredette haven’t improved – they have – but the acceleration hasn’t been significant. It’s going to be nice to watch Robinson work under the guidance of Houston Rocket coach Kevin McHale. The Kings are cutting costs in anticipation of a potential sale. NBA? You have less than a day to take advantage. Everything must go, save for those d-bag shirts that the owners like to wear.